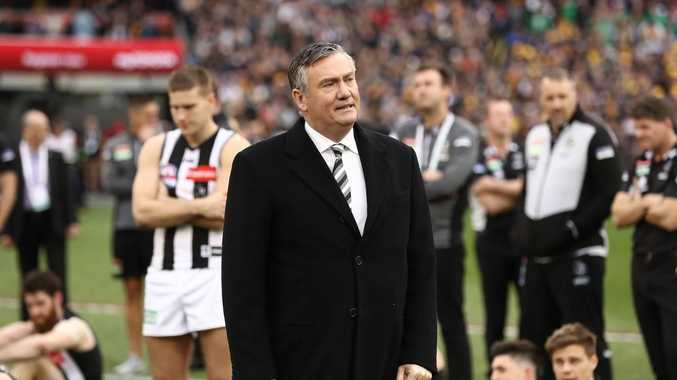 COLLINGWOOD president Eddie McGuire rode every bump with his team in the stands during their heartbreaking AFL Grand Final defeat - and he looked a broken figure in the aftermath. 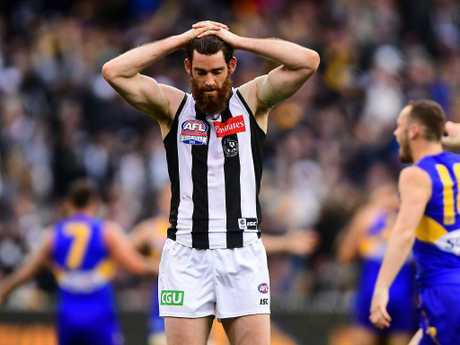 The Magpies were storming to a record-equalling 16th flag after kicking the first five goals of the game but it all went pear-shaped as the Eagles won by five points. "You come here with hope in your heart ... that's what big time sport is all about," McGuire said. "If you put yourself out there you're going to feel devastation at times. 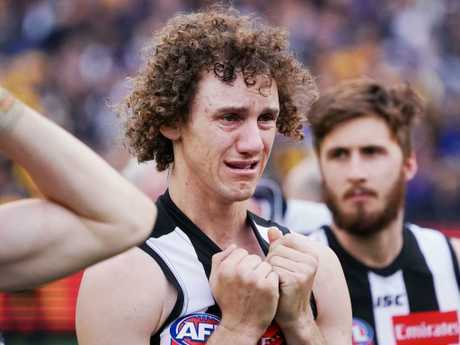 "I bought into what (coach) Nathan Buckley and the boys brought to the table this year. 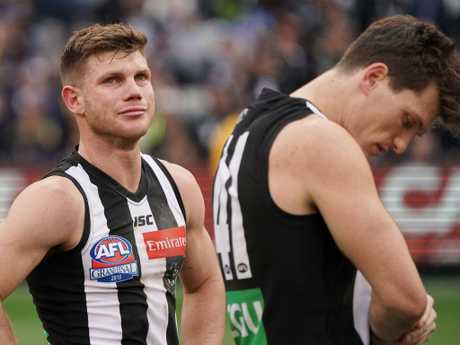 "As it turns out, we were in front for 95 per cent of the game and behind for five per cent. The bottom line is, we're behind from eternity from here." 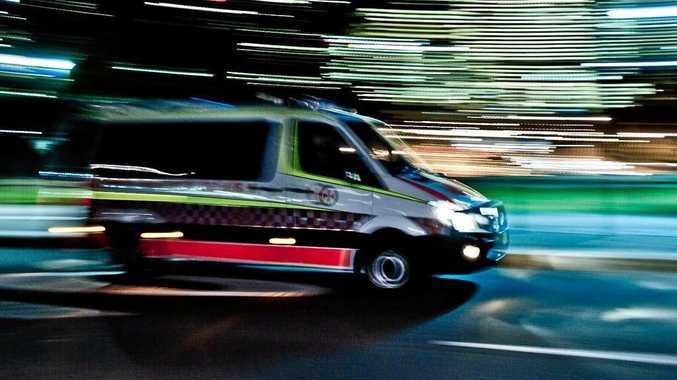 Photographs that emerged from the aftermath were brutal. 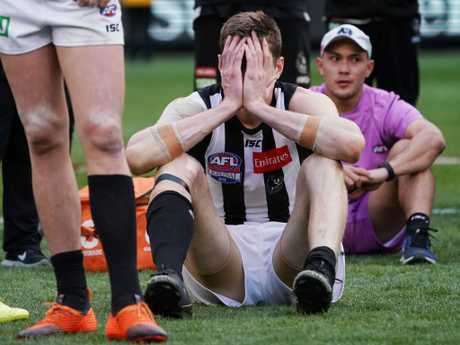 Despite the pain, Collingwood coach Nathan Buckley is imploring his players not to lose that loving feeling. Buckley believes the love and care shown by his players for each other can help them overcome the shattering defeat. But, he says, it's not a given. 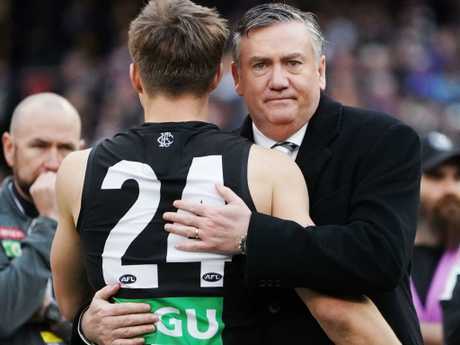 "The people who represent our club have been enormous," Buckley said. "I have a great deal of pride for our organisation and the way we carry ourselves and the way we conduct our business. "We're never beaten and we will always give our best. I have never felt as proud of the club as I do right now." 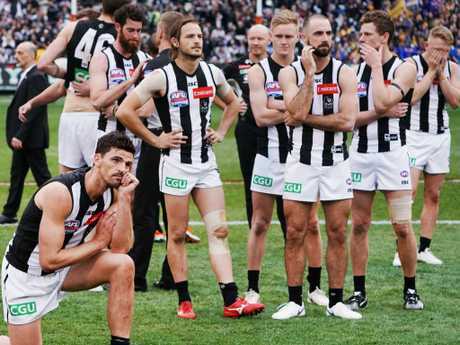 Buckley challenged his players to face the reality of their missed opportunity - the Magpies led for all but nine minutes of the grand final only for Eagle Dom Sheed to kick the premiership-winning goal with less than two minutes remaining. "We have to face this reality, and then how we respond to this reality," he said. "It won't be for lack of support. It won't be for lack of love or care for each other. "But that needs to be something that is continually digged into and never taken for granted. It's finite unless you keep producing it. "So that is going to be a big challenge for us. 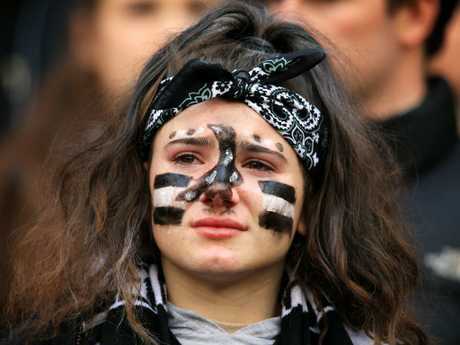 But I have got no doubt that that has become us and become part of our personality and who we are. And I look forward to seeing where that takes us."